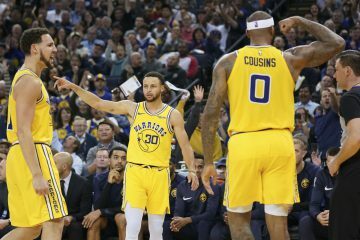 Last season, the Golden State Warriors finished 12th in the Western Conference standings and third in the pacific division behind the Los Angeles Lakers and Phoenix Suns. The team may not have boasted a winning record but they were nonetheless still entertaining to watch under the tutelage of former head coach Keith Smart. Indeed, the Dubs made a habit of entertaining fans with some sensational shootouts that even on occasion resulted in some terrific wins against some of the upper echelon teams. 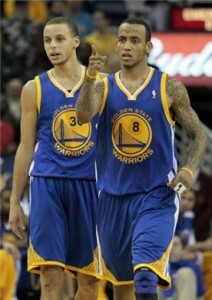 For instance, the Warriors won at home against the likes of the Lakers, Bulls and Magic during the 2010-11 campaign. Golden State was an appealing draw for NBA League Pass users given the fast pace at which they played last year. No one scored more fast break points than the Dubs last season and the half court offense was predicated on taking shots early in the shot clock to speed up the tempo of the game. The end result was that the Warriors scored 103.4 points per game (sixth in the NBA last season) on 46.1 percent field goal shooting (10th in the association). 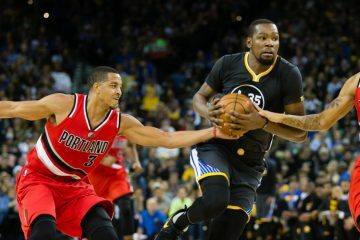 Complicating matters for their opponents, the Dubs shot a sizzling 39.2 percent from 3-point range (best in the league) on the strength of Stephen Curry, Dorell Wright, Reggie Williams and Vladimir Radmanovic’s shooting. With Curry and Ellis on the roster, the Oracle Arena tenants favored an offense in which their primary scorers handled the ball most of the time as they tried to break down the defense in isolation situations and pick and rolls. The strategy meant essentially that the Dubs were a drive and kick team that either got points in the paint or from deep. According to Team Rankings, Golden State averaged 42.9 points in the paint last season (ninth in the NBA) but was dead last in free throws with a measly 20.7 attempts per game. 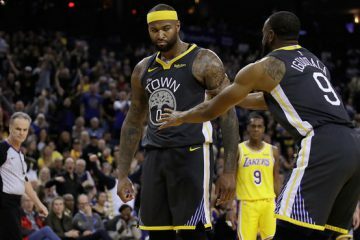 Part of that can be attributed to the fact that some of their points in the paint came as a result of fast breaks but also the pace at which they played helped them get a lot of shots up as well as some put back opportunities (they averaged 11.6 offensive rebounds last season, good for 10th in the association). Under new head coach Mark Jackson, the feeling is that the Warriors may keep much of their offensive identity from last season but that they will be less sloppy with the ball. The Dubs averaged 14.4 turnovers per game last season (22nd in the NBA), which in turn led to them allowing 19.3 fast break points per game (worst in the association). Jackson will have his work cut out for him, as he will try to repair a team that seemed to lack any semblance of a defensive philosophy the last time it played. Golden State surrendered 105.7 points per game last season (28th in the league) on 46.7 percent field goal shooting (21st in the NBA). The Warriors’ woes on defense were attributed mostly to their inability to keep opponents out of the lane, as evidenced by their 45.7 points in the paint allowed per game (27th in the association). The perimeter defense was somewhat non-existent at times for the Dubs but the interior defense did little to help out the wing players. According to Hoopdata, Golden State surrendered 65.1 percent field goal shooting at the rim (22nd in the NBA) and further exacerbating matters, they put opponents on the line frequently. Indeed, the Warriors allowed a staggering 27.6 free throws per game (second most allowed in the league) in addition to the 26.5 shot attempts at the rim they surrendered on average (third most in the league). These are the issues that Mark Jackson will be facing when training camp opens on December 9th; and until the season opener on December 25th against the Los Angeles Clippers, one wonders if the Dubs will be able to become a stout defensive unit in a mere 16 days of training camp. After watching the Chicago Bulls rely on their defense and their playmaking point guard to lead them to the Eastern Conference Finals, the idea of riding the Warriors’ backcourt to a postseason appearance does not seem all that far fetched. Questions or comments? 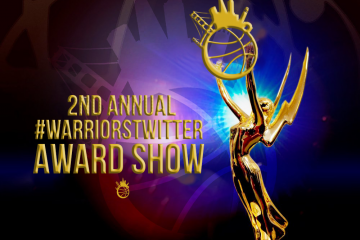 Feel free to leave them in the comments section or you can contact me by email at [email protected]. The same unit with Biedrins instead of Udoh was -3.5. Seems like a full season of Udoh or Chandler (or your kid’s school bus driver) will be a major upgrade over a full season.